The new 9.7-inch iPad is now available for purchase at select Apple Retail Stores in the United States, Canada, Australia, and Japan, according to the company's in-store pickup tool enabled today. A handful of stores may have had limited stock already, but supplies now appear ample for Apple to accept reservations. 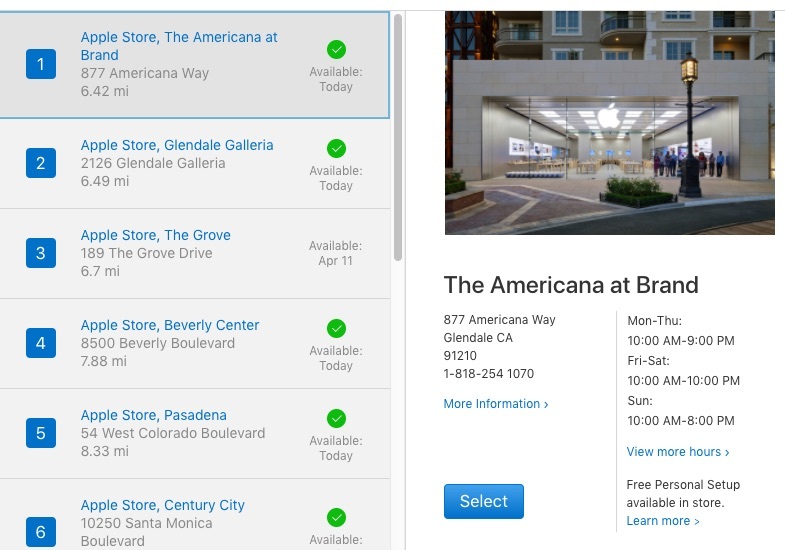 Apple has yet to activate Personal Pickup in other countries where it operates Apple Retail Stores, including Belgium, Brazil, China, France, Germany, Hong Kong, Italy, Macao, Mexico, the Netherlands, Spain, Sweden, Switzerland, Turkey, the United Arab Emirates, and the United Kingdom. Nevertheless, in-store stock may be available as early as today in some of those countries as well. Apple said the new 9.7-inch iPad would be available to purchase at select Apple Retail Stores, authorized resellers, and carrier stores by the end of this week in more than 20 countries. Call ahead to check. Apple began accepting online orders for the new 9.7-inch iPad on its website last week, with initial orders estimated for delivery between March 31 and April 5 in the United States. Orders placed today are estimated to ship between April 6 and April 14 depending on the shipping method selected. Apple accepts iPad returns within 14 calendar days of receiving an online order, so some customers that still have a far out delivery date may elect to try their luck in stores, but your mileage may vary. Online orders can also be canceled on Apple's website if they have yet to be processed for shipment. 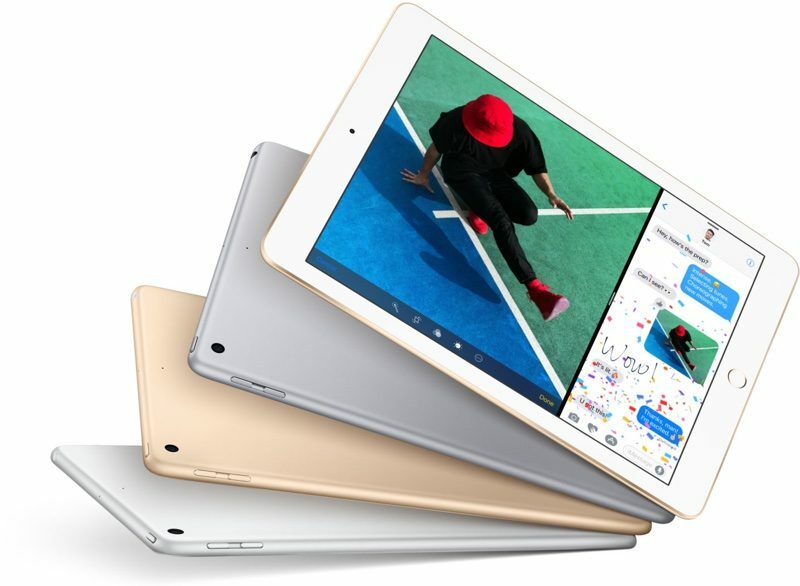 Apple unveiled the new 9.7-inch iPad last week as a low-cost successor to the iPad Air 2, which has been discontinued. The tablet features a faster A9 chip and brighter Retina display than the iPad Air 2, but it is somewhat thicker and heavier than the iPad Air 2 since it lacks a fully laminated display. The tablet essentially packs an iPhone 6s chip with other iPad Air 2 components into an original iPad Air design. Read our new 9.7-inch iPad vs. iPad Air 2 article for a side-by-side comparison of complete tech specs. The new 9.7-inch iPad starts at $329 for a 32GB model with Wi-Fi, making it the cheapest new tablet that Apple has ever sold. Apple also offers a 128GB model with Wi-Fi for $429, while cellular-capable 32GB and 128GB models are available for $459 and $559 respectively in Silver, Gold, and Space Gray. I'm tempted to buy the new iPad. It looks like great value, and it would be my first iPad since buying an iPad 2 many years ago, which still gets used fairly regularly in our household. However: The inability to have multiple users (and thus individual email accounts, safari password keychains, etc) is really holding me back. It makes the iPad hugely less useful in a family/household setting. I really hope Apple will finally sort this out in iOS 11. 7.5mm is thick? Hold an original iPad. I can't see buying this over an iPad Air 2 on eBay. Still hoping for an awesome update to the larger 12.9 Ipad. T: oh yeah, it will bring in a few billion revenue, stock will go up, customers will love us, investors will love us and I'll get a record bonus. Time for lunch. Umph.. Did you tap my hidden boardroom mike or did I accidentally tap yours ;) ? This looked like a good deal until I remember Apples current approach to storage tiers on these devices. Before somebody says no Apple isn't responsible for Brexit but they are responsible for their staunch insistence on huge profit margins on everything and removing storage tiers to gouge a bit extra out of the customer for storage they don't really need. They just can't grasp the idea that the value proposition of a tablet just isn't there at the price points they want to play at can they ? This has clearly been aimed at the US education market but are they going to get many takers given what your average Chromebook can be had for? I would be surprised. Schiller - Hear me out, this is going to sound crazy, but hear me out. If we got everyone to rebuy the iPhone 5S as new, what if we just re-sell the iPad Air 1, call it the iPad SE, err no, scratch that, ummm, the new iPad? Cook - Wouldn't it make more sense to just rebadge the Air 2? Schiller - naaaaah, Air 2 costs and extra $3 to produce, that is crazy talk! Air 1 it is! No doubt! But even if I wanted to spent $329 each on several iPads, it doesn't fit the casual way we use them in our house. I don't want to waste time hunting around the house for "my" iPad. I want to pick up the one that's already sitting on the kitchen counter! But you wouldn't have to waste time hunting for it. Because it's yours. It would be where you left it. Unlike with your shared approach where you have to find it wherever the last user left it. I used to have the exact mindset you have and really really wanted multi-user so that I could share my iPad with my kids. Then I caved and bought them each refurbed minis, and honestly, Apple is right. It's a personal device. The overall household experience works so much better when each person just has their own. I could never even consider one tablet with multiple users. The idea makes me cringe now. I get our needs and budget may be different. But wait until these are in the refurb store for <$300. It really is the better way to "share." I can't imagine people wanting to buy an iPad Air 2, just to have slower hardware and iOS updates end in late 2018. RAM would be the more likely requirement that ends iOS updates for these devices. The Air 2, 9.7 Pro, and this new iPad are all 2GB. I bet they all lose iOS update support at the same cycle. I predict they won't have any trouble keeping this one in stock.